Laminated body with a spruce centre block and hand carved spruce fillets. 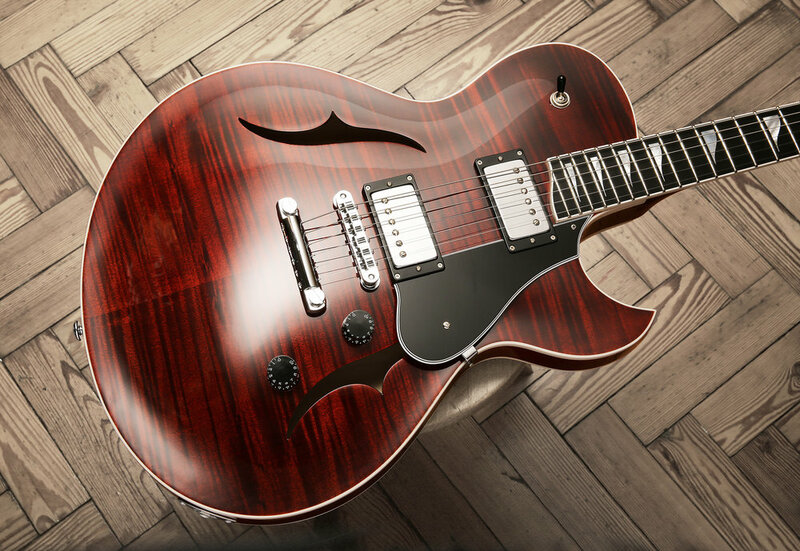 Top, back and sides are made from exquisite, figured maple veneers and finished in dark cherry. The neck is hand carved from one piece of quarter sawn mahogany. The rosewood fingerboard is inlayed in mother of pearl. 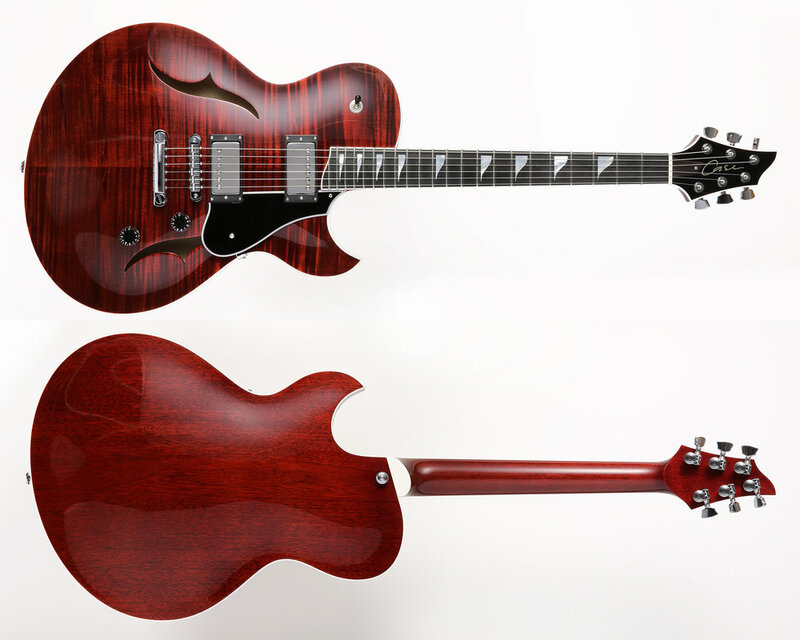 All hardware is chrome plated and includes a vintage-style Gotoh tuneomatic bridge with a lightweight Gotoh stop bar. Sperzel locking tuners guarantee fine tuning and smooth operation. High quality CTS pots and a Switchcraft pickup selector switch are used with a 50’s wiring scheme to minimise treble loss when rolling back the volume. Hand wound Bare Knuckle unpotted 'Mule' humbuckers are fitted for their outstanding clarity, extended dynamic range and unmistakable vintage character.